Our super quality cream fitted sheet is made from 100% polyester material to give you warmth, softness and easy to care property. Its cream colour with lavish satin strips will go with almost any room scheme, and its 20cm depth is a perfect way to add a spot of pure luxury to your mattress making it wrinkle free. 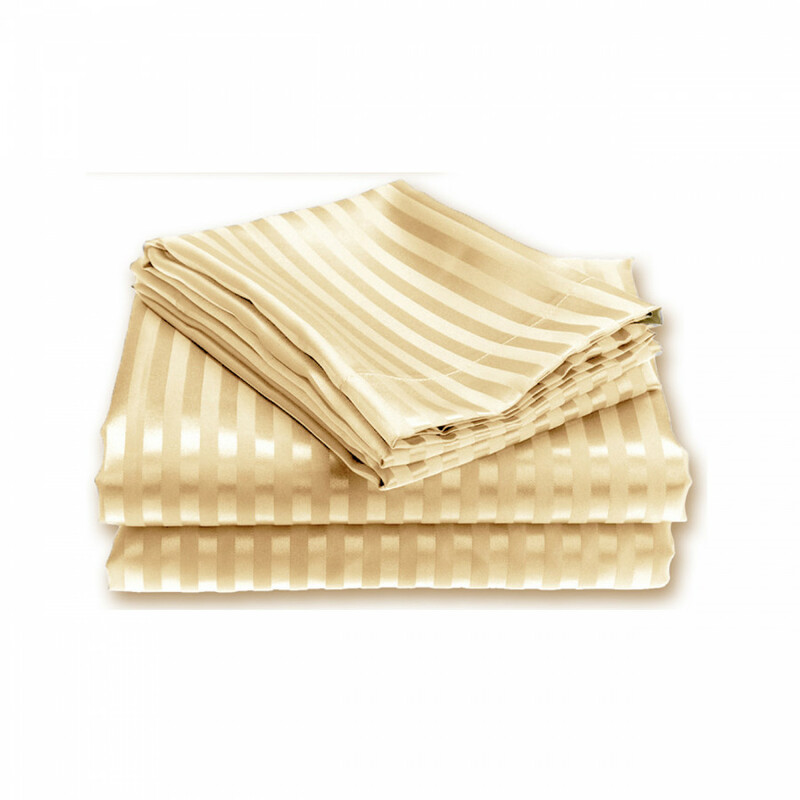 Get this sumptuous and machine washable fitted sheet in Single (90cm x 190cm), Double (135cm x 190cm), King (150cm x 200cm) and superking (180cm x 200cm) sizes.